Please share this with the salesman. I am sure it would make his day just as it made your apartment. Congratulations on your new apartment, your decisions aabout your furnishing and all the other great decisions you have made in recent months. Thanks Peg. I agree…sometimes it’s the small things…the unexpected that give us strength in hard times. I know….it really is ‘so me’. You might not see it soon but I will see you in a few weeks my dear! 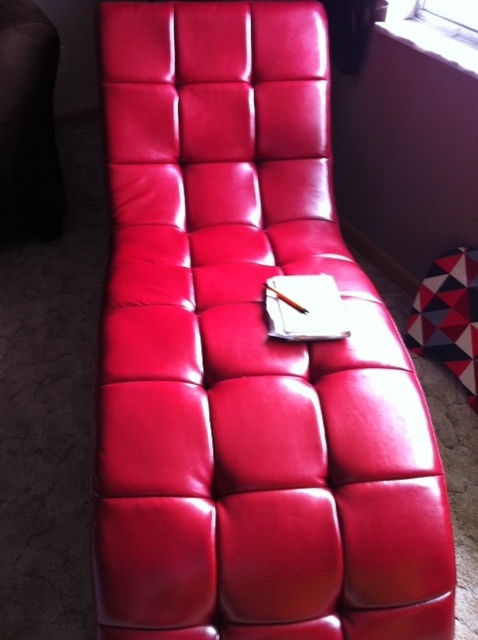 I love the Chaise. I am glad to hear that you are doing well and are mostly settled into your new place. Glad to see you writing again. Thanks Corinne. I miss you! I will call you soon so we can catch up.